Psalm 123:1-2 I lift up my eyes to you, to you whose throne is in heaven. As the eyes of slaves look to the hand of their master, as the eyes of a maid look to the hand of her mistress, so our eyes look to The Lord our God, till he shows us mercy. Every single day, just about every moment, we are bombarded by joy-stealers trying to wrap their little tentacles around our hearts and pull the joy right out of us. They might take the form of a calendar filled to the brim, a broken-down washing machine and piled up dishes, unmet expectations, the completely mundane and ordinary and the incredibly tragic and heart-breaking. We can be skipping along whistling a tune when out of nowhere along comes a joy-stealer to trip us up. I have had my share of joy-stealers this week, at moments letting them win, and other times playing tug-of-war with them. No, you may not have my joy, thank you! In the midst of it all, I made the journey with the Israelites up to Jerusalem, up through the Psalms of Ascent (Psalm 120-134), and I was reminded of this important truth. My position is to look up- because God is God, and I am not. Who am I to wave around my placard demanding my rights, my way, like some demonstrator in a big rally, declaring all of this is utterly unfair? The creator of heaven and earth, the God who puts things in motion and sets up kings and governments, who brings the rain and changes the seasons, this God redeemed me from the pit and gave me life. Who am I to demand anything of Him, to give Him complaints instead of praise? He shows mercy, He gives His joy in the midst of the everyday trials and endurance for the hardship. I need to keep looking up, keep my eyes on Him and remember my position. 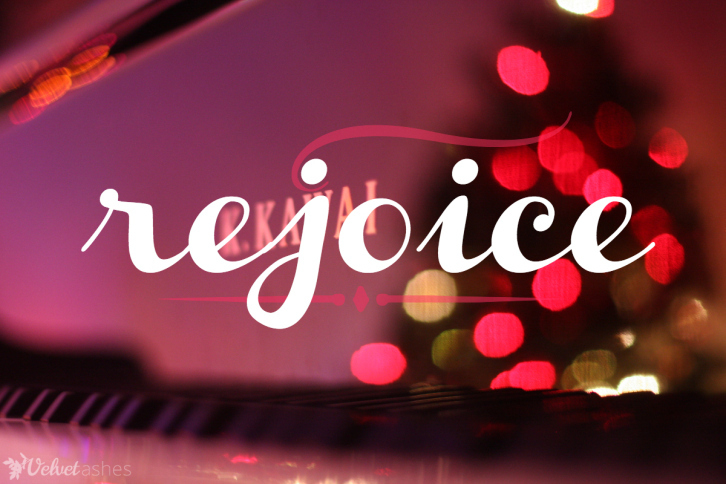 In this I can rejoice! In spite of the joy-stealers, God’s grace was still evident in the gifts that He has given this week. Psalm 125:1 Those who trust in The Lord are like Mount Zion, which cannot be shaken but endures forever. Check out more posts on Rejoicing over at Velvet Ashes! It's so true that acknowledging and giving thanks for the gifts that are all around is the way to joy. Thanks so much for sharing!! Sarah! So delighted to see you linking with VA. I love this and treasure your insight.